Dallas Area Rapid Transit and PayNearMe are working together to enable riders to load transit fares using cash at nearly 800 retail stores in the DART service area. DART's GoPass mobile application will allow riders to present the app on their smartphone to a store clerk within PayNearMe's retail network and pay in cash to load DART fare value, just as if they are making a purchase in store. 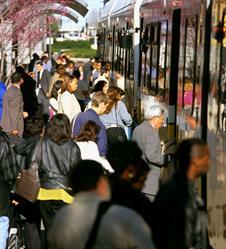 SUNNYVALE, CA and DALLAS, TX--(Marketwired - May 16, 2016) - Dallas Area Rapid Transit (DART), provider of public transit services to residents of Dallas and its surrounding cities, and PayNearMe, the electronic cash transaction network, are working together to enable riders to load transit fares using cash at nearly 800 retail stores in the DART service area. Fares can be loaded onto the existing DART GoPass app or the new DART GoPass card. The new GoPass card is the transit agency's first reloadable NFC-enabled transit card and will be designed and distributed by PayNearMe and Blackhawk Network. The new cash loading option and GoPass cards will be available beginning in March 2017 at retail locations including participating 7-Eleven and Fidelity Express stores, as well as certain stores to whom Blackhawk Network distributes. DART's GoPass mobile application will allow riders to present the app on their smartphone to a store clerk within PayNearMe's retail network and pay in cash to load DART fare value, just as if they are making a purchase in store. DART GoPass cards will be sold and reloaded through the same network. GoPass's Near Field Communications (NFC) technology on bus and rail will automatically deduct the correct fare amount when the card is held up to readers in each transit vehicle. Each card can be registered by its user, making it easy to restore balances if the card is lost or stolen. DART's goal is to reduce and potentially eliminate cash handling by bus operators to reduce distractions to improve safety and operational efficiency. "Today, more than 80 percent of the fare value collected on the bus or through our ticket vending machines is paid in cash," said David Leininger, DART's executive vice president and chief financial officer. 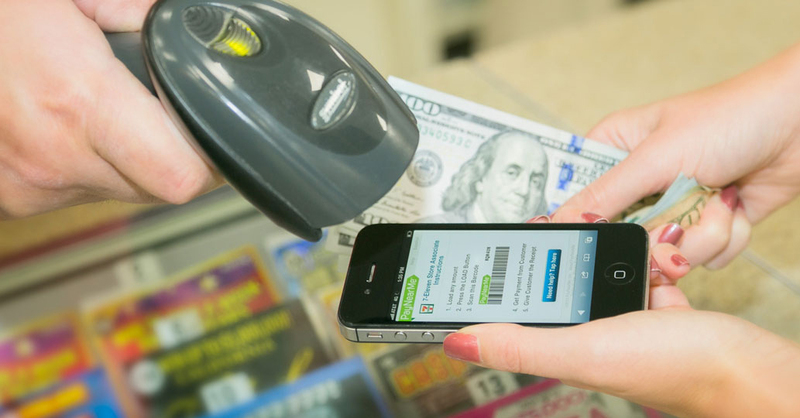 "PayNearMe put together an innovative response to our request for customer cash management that incorporated an excellent mobile solution, a thoughtful smart card solution, and a strong footprint of retail partners that ensures a broad cross section of grocery, convenience and bodega retailers to serve our customers." Value stored on the new GoPass card and GoPass app can also be used on the Trinity Railway Express and Denton County Transportation Authority systems. 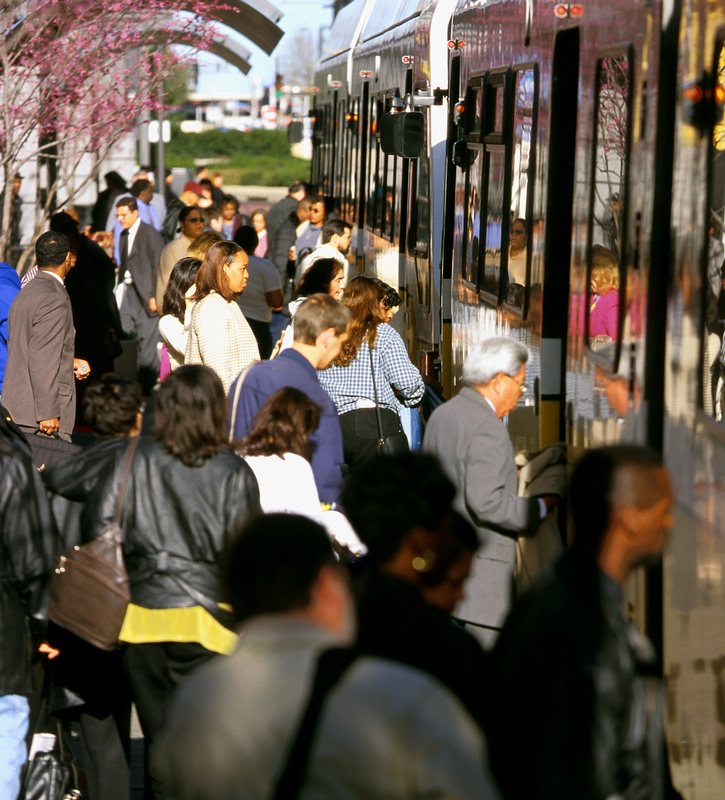 "With 250,000 riders depending on DART for transportation, it was essential that we offer an easy-to-use and error-free system," said Danny Shader, PayNearMe's founder and CEO. "Through the millions of transactions we currently process, PayNearMe has the proven record of reliability and user satisfaction that DART riders deserve. We look forward to bringing this solution to other transit operators across the U.S."
Through PayNearMe's extensive network of retail stores, riders located outside of the Dallas area will have the option to load their DART account using cash at over 17,000 stores nationwide in March 2017. Many of the stores are open 24 hours a day, seven days a week, making it easy and convenient for riders to meet their Dallas-area transit needs, no matter where they live and work. 7-Eleven -- 7-Eleven is in the business of offering convenience to customers. The 7-Eleven and PayNearMe relationship, which began six years ago, is a perfect example of the intersection of innovation and convenience. At 7-Eleven stores across the US, customers come to 7-Eleven to pay bills to over 12,000 merchants by scanning a barcode on their phone and presenting cash at the register, 24/7. The DART partnership in DFW alone gives customers access to over 400 7-Eleven locations to pay for transit with cash. That's convenience at its core. Fidelity Express -- Fidelity Express is a premier leader in the walk-in bill payment and money order space. With thousands of diverse locations across 19 states, Fidelity Express processes millions of payments annually for the cash-paying consumer. The Fidelity Express partnership will provide DART's cash-paying customers with the ultimate convenience in transit access. Blackhawk Network -- Blackhawk Network Holdings, Inc. (NASDAQ: HAWK) is a leading prepaid and payments global company, which supports the program management and distribution of gift cards, prepaid telecom products and financial service products in a number of different retail, digital and incentive channels. Blackhawk's digital platform supports prepaid across a network of digital distribution partners including retailers, financial service providers, and mobile wallets. For more information, please visit www.blackhawknetwork.com or product websites Cardpool, Gift Card Lab, Gift Card Mall, GiftCards.com and OmniCard. PayNearMe has been enabling government agencies and businesses to accept cash payments remotely since 2009. Using PayNearMe, consumers can make payments on their own schedule, in their own neighborhood, at one of nearly 17,000 trusted locations in the U.S. which include 7-Eleven®, Family Dollar® and ACE Cash Express stores. The company's payable merchants include Greyhound bus, California Department of Child Support Services and the city of Philadelphia's bike share program Indego, among others. For more information, visit: www.paynearme.com or download the free app from the Google Play store and iTunes App Store. More information about DART is available at http://www.DART.org.